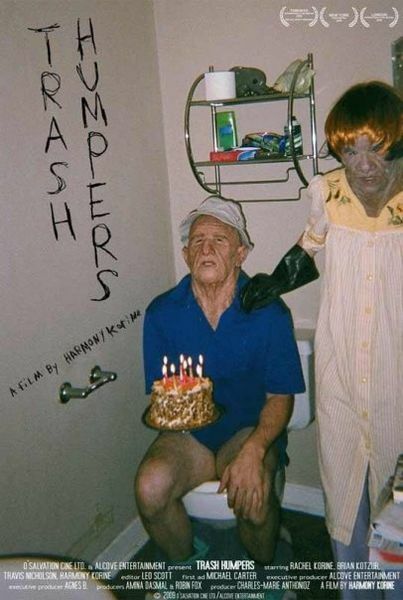 WIKI: "Trash Humpers is a 2009 American drama film directed by Harmony Korine. Using a visual style that mimics a worn VHS home video, the film features a "loser-gang cult-freak collective" and their whereabouts in Nashville, Tennessee." TRASH HUMPERS TRAILER from Trash Humpers on Vimeo.